The island of Scarp is located a few miles north of Huisinis in Harris. It is NOT accessible by public ferry. Boats can be chartered for private hire, and several local operators run daytrips to Scarp (from Tarbert in Harris and Miavaig in Uig, Lewis). 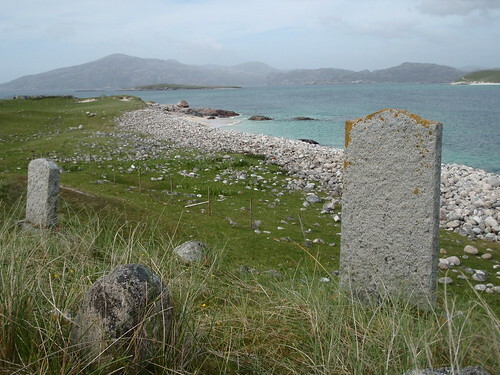 The burial ground on Scarp lies 200 metres south of the slipway on the eastern side of the island. 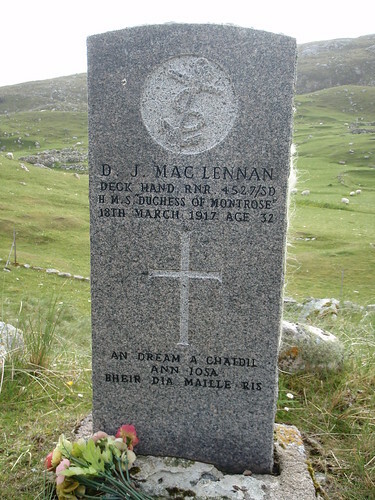 Son of Mr. and Mrs. Alexander MacLennan; husband of Margaret MacLennan, of Govig, Harris. Born at Hushnich, Harris. Regiment/Service: Royal Naval Reserve, H.M.S. "Duchess of Montrose." 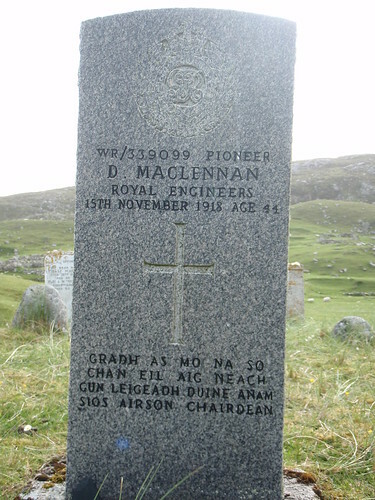 Son of Mr. and Mrs. Finlay Maclennan, of Scarp, Harris. Posted to highlight inclusion of photos of gravestones.